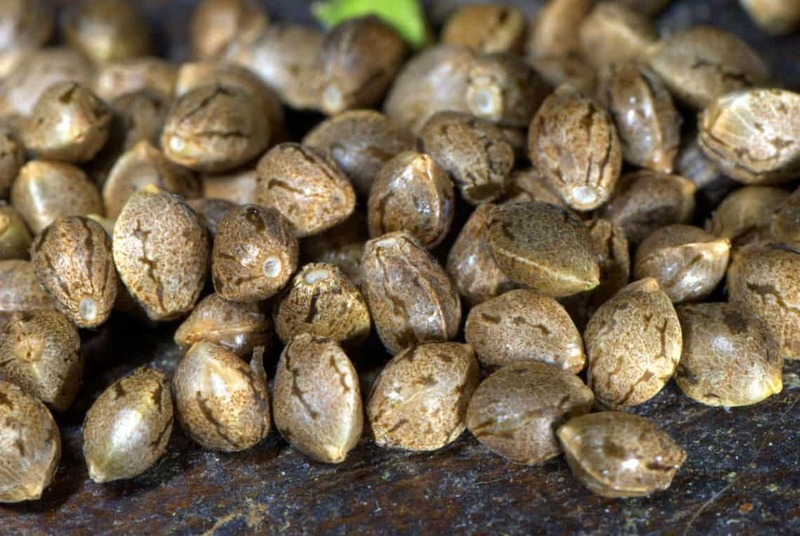 Autoflowering seeds are a new wave especially for beginner growers. Let’s break down the word to distinguish its definition. Auto means self and flowering in the cannabis world means growing bud. This means that Autoflowering cannabis plants grow bud all by themselves. But don’t all cannabis plants do that? Well, yes but they have a particular light cycle needed for optimal growth. Experienced growers have determined the light cycles to a science in order to harvest the biggest yields. It takes work and stress to make sure that the plants are getting the right light indoors. Maybe the power goes out or maybe someone forgot to switch off the lights? Autoflowering plants don’t rely on light cycles. They will grow regardless of light. 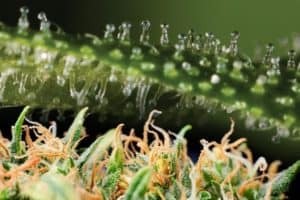 Though autoflowering plants may seem like an optimal choice for growing, you should know all the specs before deciding. Autoflowering seeds are ideal for beginner growers, growers with very limited space, chronic medical patients who need product quickly or even experimental growers who want to find new and innovative methods for the grow industry. 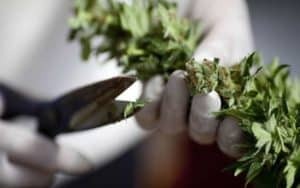 Here are the pros and cons you will need to weigh in order to determine if autoflowering plants are right for you. Contrary to many beliefs, an autoflowering plant can be cloned! Take a small branch from the mother and grow it under a 24-hour light cycle. The only problem with this is that the clone of an autoflower will have a smaller yield. Light equals growth and with autoflowering, the more the light the better during its growth stage. Light affects a plants growth, yield and bud density, but it also affects your energy costs. Growers try to find that sweet spot where the plant gets a lot of light but just enough and not too much. When growing autoflowering plants, you will hear growers talk about continuous 24-hour light cycles or 12/12 – meaning 12 hours of light and 12 hours darkness. Some even prefer 16 hours of light and 8 hours darkness. The idea behind continuous light cycles is that the plant grows in the light and only in the light. Though, at night, it is proven that plants tend to stretch looking for their next light source – though, this may not be so apparent outdoors. It is highly advised for newbies to start out with a basic light cycle. Try using a 24-hour light cycle only, or at least for the vegetative state – this is where your plants will do the most growing. After the vegetative state, your plant will be ready to go into its flowering state. Here, you can switch to 16/8 or 12/12 to save a bit of energy. But, if you are still unsure about your adjustments to light, you can just leave it be at a 24-hour cycle and everything will be just fine. With 24-hour light cycles, the only thing to be aware of is if your lighting is giving off a lot of heat (especially in the summer time). Check your grow room temperatures. You do not want your grow room to rapidly change temperatures during the daytime. If the temperature is fluctuating from 70F-90F, take some time to research how to regulate your grow room temperature. The basics is as follows: autoflowering plants are typically smaller and, therefore, yield a smaller crop – though, this isn’t always true. Though, the benefit of autoflowering plants is its quick grow time. Typically, you can expect autoflowering seeds to give you smaller plants with less yield, feminized seeds to give you bigger plants and a bigger yield (but taking twice the time to mature) or regular seeds which will give you both male and female plants so that you can breed some and continuously yield seeds for another harvest. 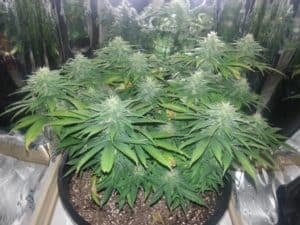 To give you a better idea of yield, let’s take a look at a high-yield strain, Northern Lights, and compare it’s yield over the course of 5 years between indoor autoflower, indoor regular, indoor feminized and outdoor feminized seeds. For the purpose of this, we will break down the yield of one plant and calculate the total of growing 4 plants per year over the course of 5 years to get a nice estimate. We will make the variable of grow to 4 plants per square meter. This plant grows to about 90-120 cm. It has a yield of 500g/m2. The flowering time from seed to bud is around 9 weeks. The advantage here is the quick harvest time. In 9 weeks from the time you germinate your seeds, you will be harvesting your yield. So, over the course of 5 years, you have 260 weeks and about 29 grow cycles. With 4 plants per meter squared, you will yield 500g of bud per cycle. 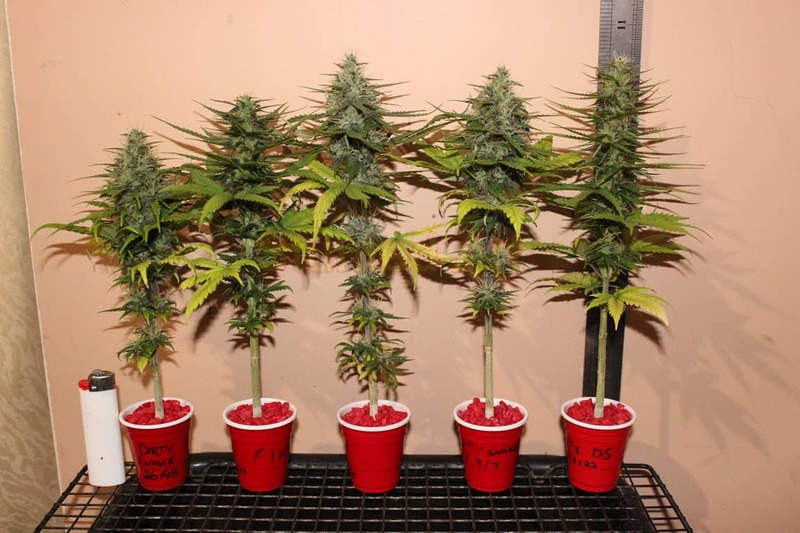 With 29 grow cycles, that is a total of 14,500 grams of bud in 5 years, though you will have to purchase new autoflowering seeds for every new grow (4 seeds at around $28 x 29 grows = $812). It has a yield of 550g/m2. The flowering time from seed to bud is around 16 weeks. The advantage here is that you will not need to make reoccurring purchases of seeds if you successfully breed your plants and save the seeds for future grows., Your seeds will be a mixture of female and male. Since we are calculating 4 plants, for the sake of this breakdown, let’s assume that you’ve chosen the best ratio of three females and one male. You will want to separate the genders. Grow two feminized plants and pollinate the other. You will yield only two plants during the first grow cycle. The second grow, you will have many seeds from your pollinated female. You would then be able to grow all 4 females, and this is the choice for the purpose of this demonstration. Though, you could choose the favorable ratio again of three females to one male to produce more seeds. What we have to consider here: Two feminized plants for the first grow, 4 feminized plants for every grow after that, 16 weeks from seed to bud, 52 weeks in a year, 260 weeks in 5 years, that is 16 grow cycles (with a bit of wiggle room), 4 plants are grown in a small corner of a meter squared which yields 550g each cycle, except of course for the first grow cycle which is only two plants per meter squared but can still reach the capacity (with the right care and conditions) of 550g. So that is 550g x 16 grow cycles to equal 8,800 grams in 5 years. And only a one-time cost on the seeds. So, this one is going to grow exactly like the regular seeds except that you will only have feminized seeds and therefore, no opportunity to breed more seeds. If you don’t trust yourself to breed properly, haven’t acquired the skillset yet or just don’t want to put in the effort, then buying pure feminized seeds is for you. 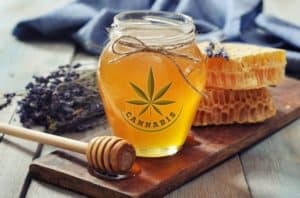 This option yields 8,800 g in 5 years like the regular seeds grow, but you will have to put more money into growing feminized seeds (about $28 per 4 seeds x 16 grow cycles = $448). With ideal growing conditions, an outdoor grow of Northern Lights can yield more than 600 grams of bud per grow cycle, but outdoors poses the problem of year-round growing. Therefore, you typically only fit in one grow cycle per year. For four plants in a span of 5 years, that is a yield of 12,300 grams. Some things to consider: you usually have more room outdoors for more plants, it is typically less work since you only take care of the plants half the year and you also have to consider the seed costs or grow regular seeds to breed your own. 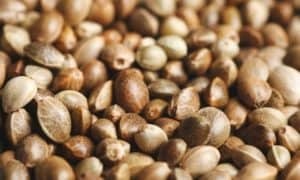 So, this little experiment points to autoflowering seeds as giving you the most product, they are also much less work – no need for meticulous light cycles, but you do have to rely on buying seeds every time. The purest might choose an outdoor grow – yes, you may yield 2,000 grams less but you don’t have to work year-round. You can also clone the plants you already have or breed your own seeds. One type we didn’t cover in the experiment: regular autoflowering seeds. Here is a great option for a bit more advanced grower who prefers autoflowering seeds. With regulars, you can keep a close eye on your plants for males and remove them from the ladies in order to breed with them and keep up your own seed bank. Of course, this option adds to the workload, yes, but some would say it is satisfying – you know, reaping what you sow. Now, you are equipped with the knowledge needed to explore the autoflowering realm – or at least make an informed decision about it. Enjoy yourself and after a few grows, feel free to experiment with light cycles and seeds.